From the lips of the Risen Christ, comes a great message of Divine Mercy. After rising from the dead, He entrusts His message to the Apostles. He goes to them in the Upper Room. He says to them: "Peace be with you. As the Father has sent me, even so I send you.... Receive the Holy Spirit. If you forgive the sins of any, they are forgiven; if you retain the sins of any, they are retained." Before speaking these words, Our Risen Lord Jesus showed His Hands and His Side. He pointed to the wounds of His Passion and Crucifixion, especially the wound in His Heart. From the wound in His Heart flows a great wave of mercy poured out on all humanity, for all time! In Poland in the 1930s, in the years between World War I and World War II, a simple Nun lived in a tiny and obscure monastery outside of Krakow. And although she never left the monastery property, the life and witness of Sister Faustina Kowalska — now Saint Faustina — was completely linked with the history of the 20th century, the century we have just left behind. 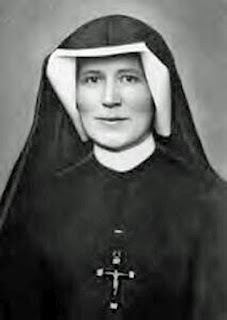 In fact, it was between the First and Second World Wars that Christ — who appeared to her in a series of visions — entrusted to Saint Faustina a special message to be announced to the world. Those who remember those years between the First and Second World Wars, our elders, were witnesses of the horrible sufferings millions of people endured. These people, our elders, know well how necessary was the message entrusted to Sister Faustina – a message of mercy. Our Risen Jesus told Saint Faustina: "Humanity will not find peace until it turns trustfully to divine mercy." Through the work of Saint Faustina, this message has become linked forever to the 20th century, the last of the second millennium and the bridge to the third. It is not a new message but it can be considered a gift of special enlightenment that helps us to relive the Gospel of Easter more intensely. The Lord offers us this message as a ray of light to the men and women of our time. 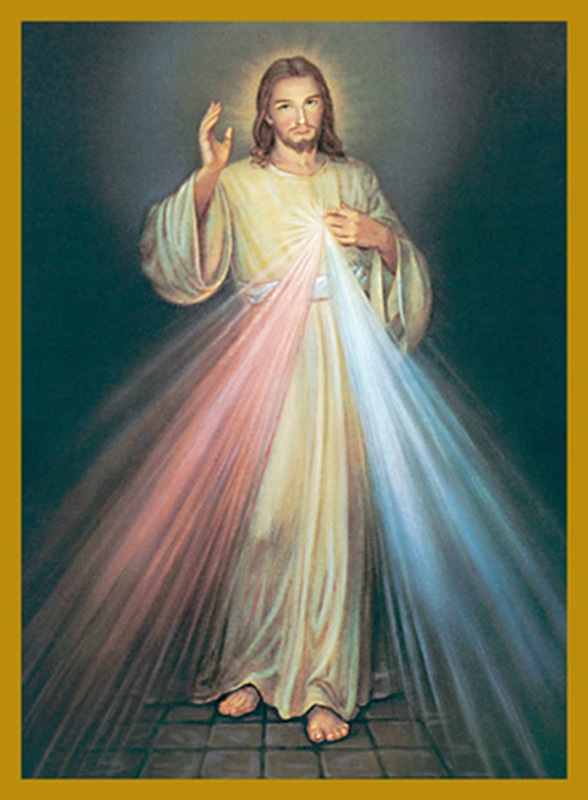 From the Risen Christ’s pierced Heart, Saint Faustina – in a series of visions – saw two rays of light shining and illuminating the world: "The two rays", Our Lord Jesus Himself explained to her one day, "represent blood and water." Blood and water! We immediately think of the testimony given by the Saint John, who, when a solider on Calvary pierced Christ's side with his spear, saw blood and water flowing from it. Moreover, the Red Ray of Blood recalls the sacrifice of the Cross and the gift of the Eucharist, the White Ray of Water represents not only Baptism but also the gift of the Holy Spirit given to us by God. (cf. The Gospel Of Saint John 3: 5; 4: 14; 7: 37-39). Divine Mercy reaches human beings through the heart of Christ crucified. He told Sister Faustina: "My daughter, tell the world that I am love and mercy personified." The Crucified and Risen Christ pours out his mercy on humanity through the sending of the Holy Spirit who, in the Trinity, is likened to the Divine Love Who unites the Father and the Son. And love's "second name" is mercy. Mercy is able to take upon itself any burden, any need. Mercy has an immense capacity for forgiveness! As the Apostles once did 2000 years ago, you and I today must welcome into the upper room of our own history, the Risen Christ, who shows the wounds of His Crucifixion and repeats: Peace be with you! Humanity must let itself be touched and pervaded by the Holy Spirit given to us by the Risen Christ. It is the Holy Spirit who heals the wounds of the heart. It is the Holy Spirit who pulls down the barriers that separate us from God and divide us from one another. It is the Holy Spirit who restores the joy of the Father's love and restores the joy of fraternal unity. 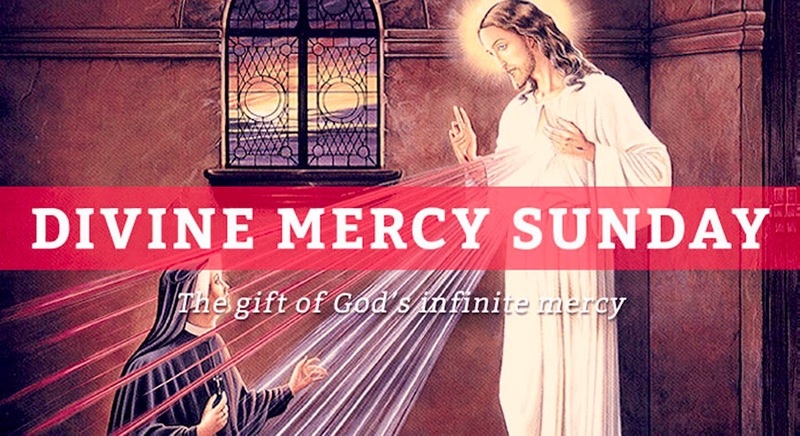 It is important then that we accept the whole message that comes to us from the word of God on this Second Sunday of Easter, which from now on throughout the Church will be called "Divine Mercy Sunday". Christ has taught us that man not only receives and experiences the mercy of God, but is also called to practice mercy towards others: "Blessed are the merciful, for they shall obtain mercy" (The Gospel Of Saint Matthew 5: 7). Divine Mercy gives form to human relations and community life; it constitutes the basis for the sharing of goods. This leads to the spiritual and corporal "works of mercy".